Picture this, you are having an outdoor evening get-together with your best friend playing cards, when finally you yell, “GIN”! It might have taken ten years, but you have finally beaten your bestie at her favorite game! Sweet victory. That’s when you hear her explain that the game you were supposed to be playing the whole time was Canasta. The problem is, you can’t really see each other’s cards on the table because it is so dim on the patio! At this point, it is time to think about an outdoor lighting plan to brighten up the festivities so your guests can see the card game, or not have to play the “what food am I about to eat” game. Don’t let your evening entertaining fall flat! There are many outdoor lighting options to choose from, but first you must decide what you would like the lighting to accomplish. Do you need the lighting along your pathways for safety, so people know where they are walking? 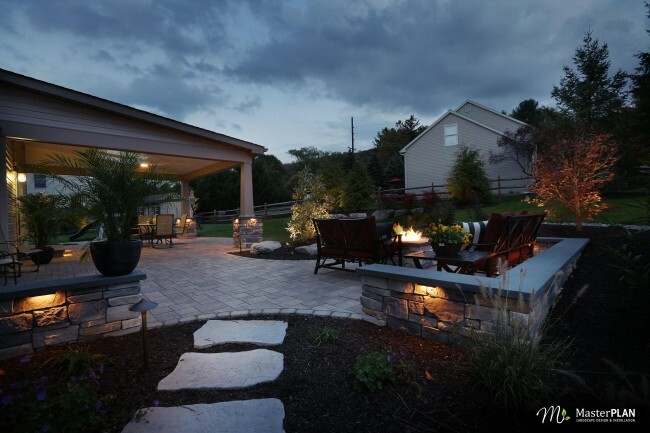 Do you want lighting to add aesthetic drama to the landscaping around your home? Are you looking for your lighting to be practical so you can see your dinner? Or, are you wanting to do all of the above, with a hint of creative lighting to bring the party all together? Let’s go through some different options to see which direction you might want to lean in. 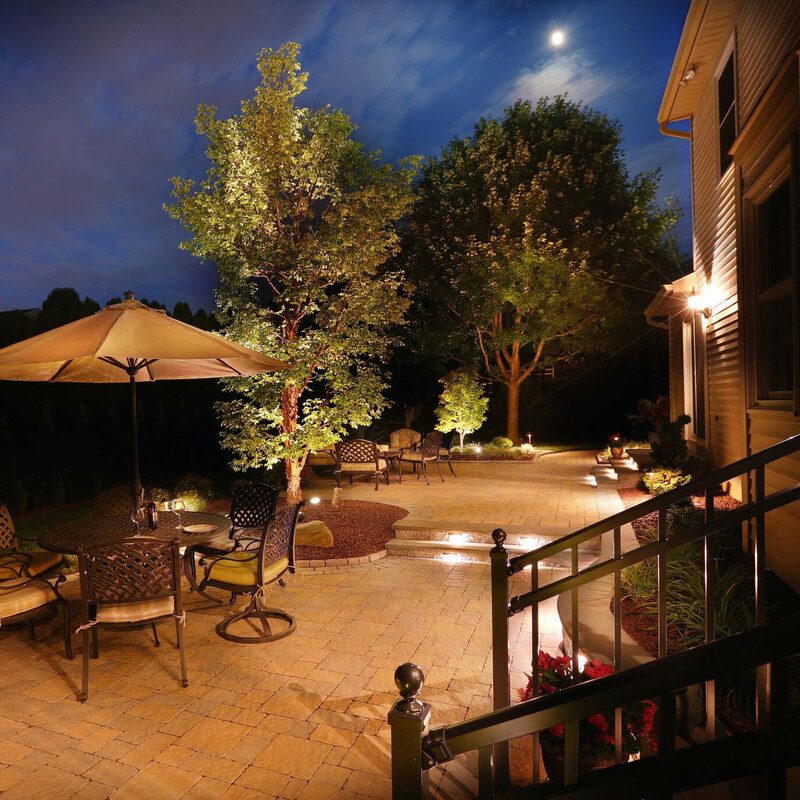 Landscape lighting has come a long way since its conception. 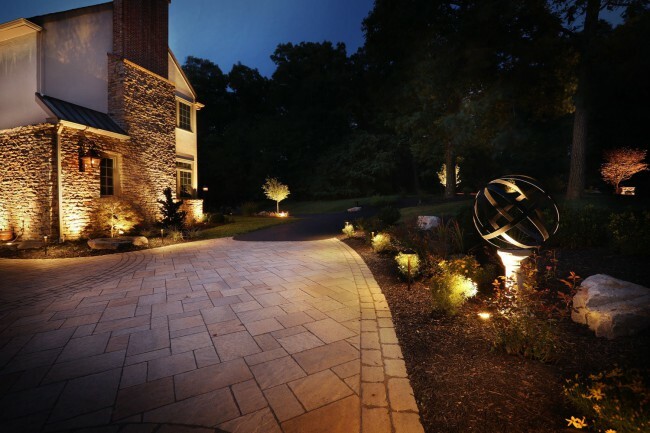 Today, landscape lighting is sleek, low voltage, energy efficient and uses LED lamps that give off a soft and warm glow. 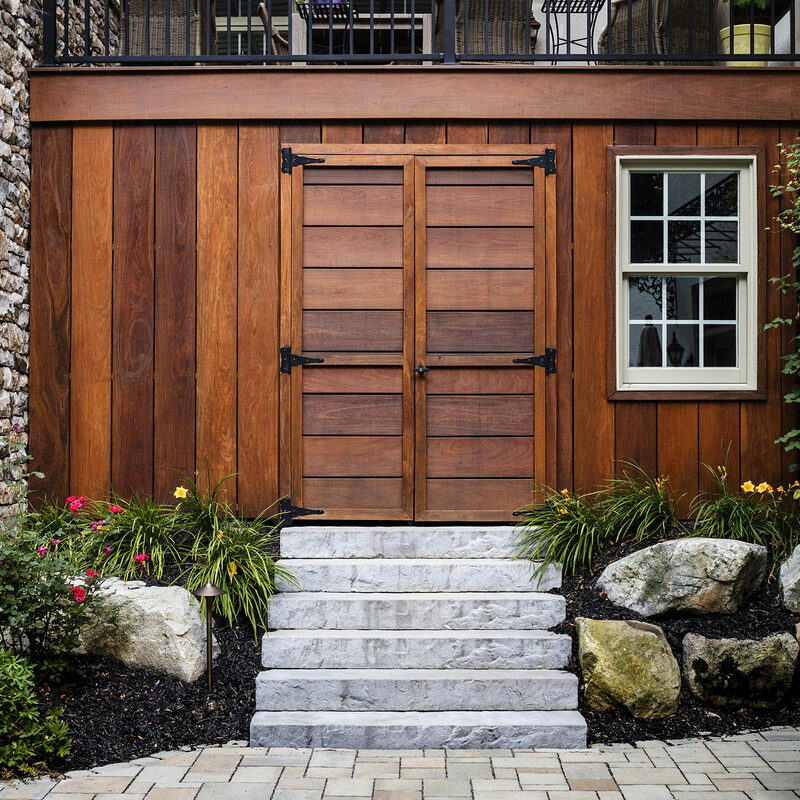 You can have pathway lights installed to insure the safety of your guest’s footsteps, and the same goes for under tread lighting in your deck staircases; never miss a step again! 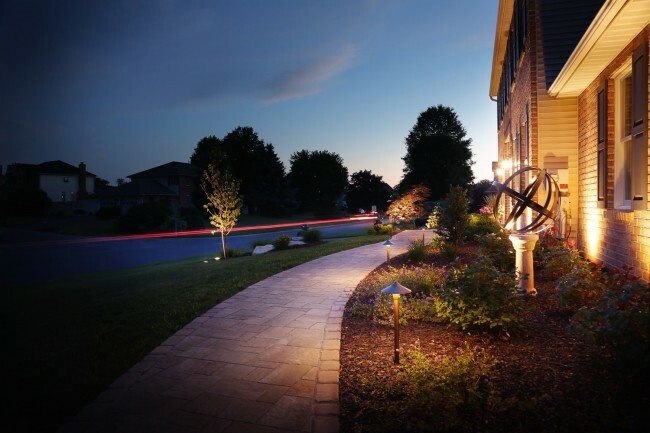 You can also have LED in-ground, bullet or flood light fixtures installed to showcase the most attractive outdoor elements of your home or landscape plantings with class and elegance! 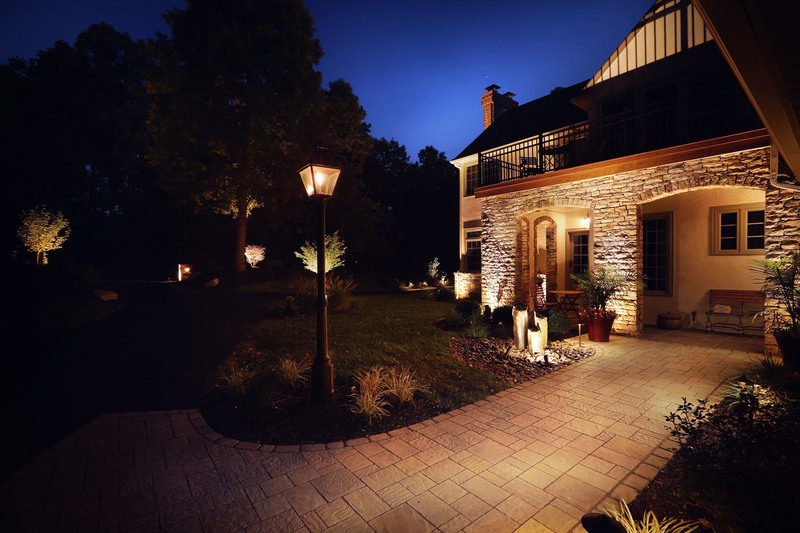 No matter what landscape lighting you choose, a little tip would be to install black fixtures. Having a darker colored fixture allows for the fixture casing to seemingly “disappear” in the night, and allow the light itself to be the highlight of the plan. 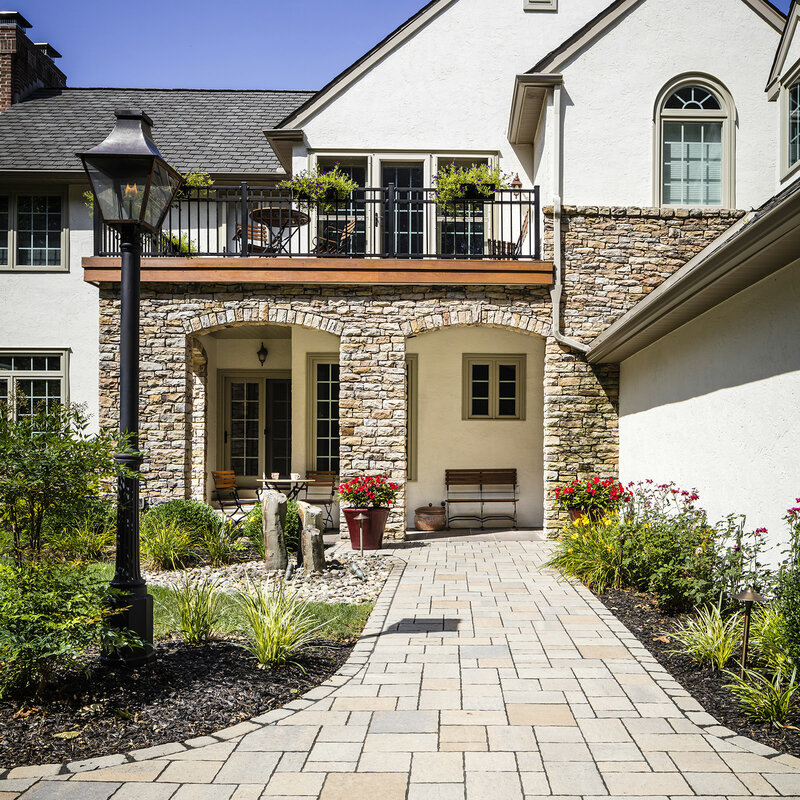 Outdoor gas-lit lighting fixtures are a great way to bring the outside of your home to life. Imagine your guests pulling up to your home and being greeted by open-flame, gas-lit fixtures in your driveway or as sconce fixtures at your entryway. Beautiful! If you are looking for a fun way to light up your backyard, you could also have gas-lit tiki torches installed. These fixtures create the feeling of being on vacation, promoting relaxation and excitement, all at the same time. If you are interested in gas-lit lighting fixtures, remember that safety is key, so you should contact a professional for proper installation. 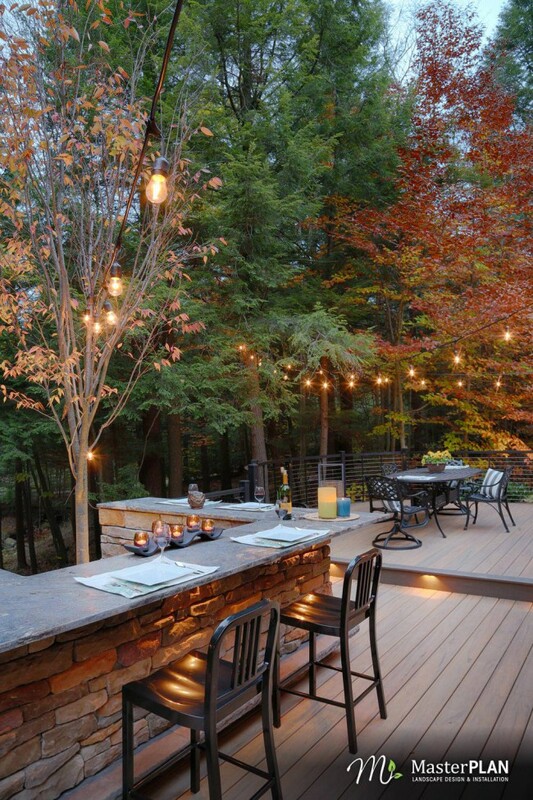 If you are going for another wow-factor in your outdoor lighting, don’t count out string lights! This is a creative option for added light while radiating fun and playfulness. Some people might think of the run-of-the-mill Christmas string lights and not be too keen on the idea, but outdoor string lights come in so many shapes, sizes and colors! Hanging strings of Edison bulbs in your backyard can tie any element in to your outdoor living space. A string of Edison lights is like the little black dress of outdoor lighting, you just have to have it. 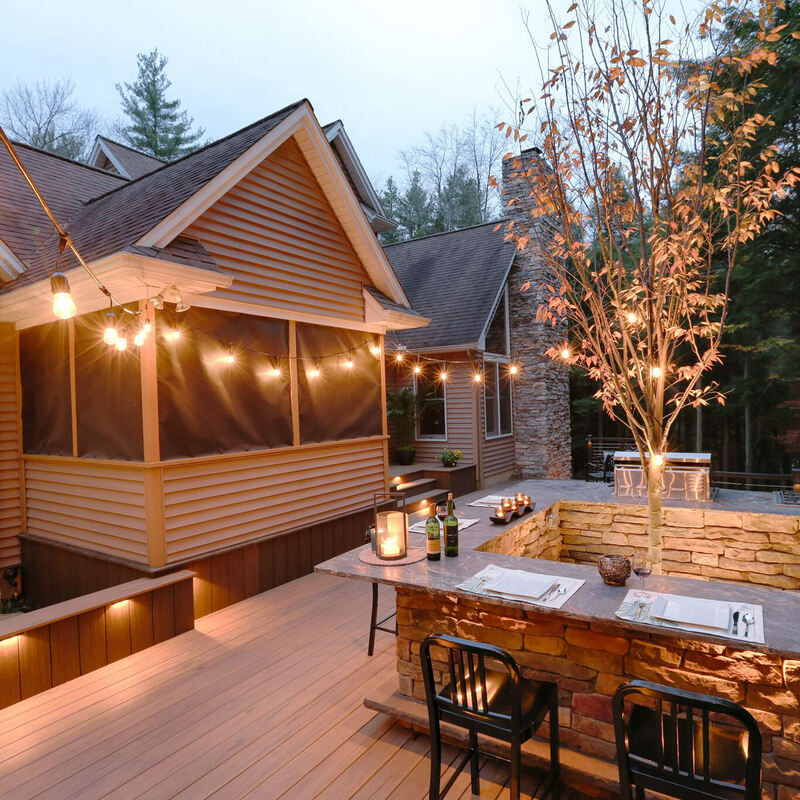 Strategically handing outdoor rated string lights around gathering and entertaining areas is a beautiful way to add interest to your backyard. 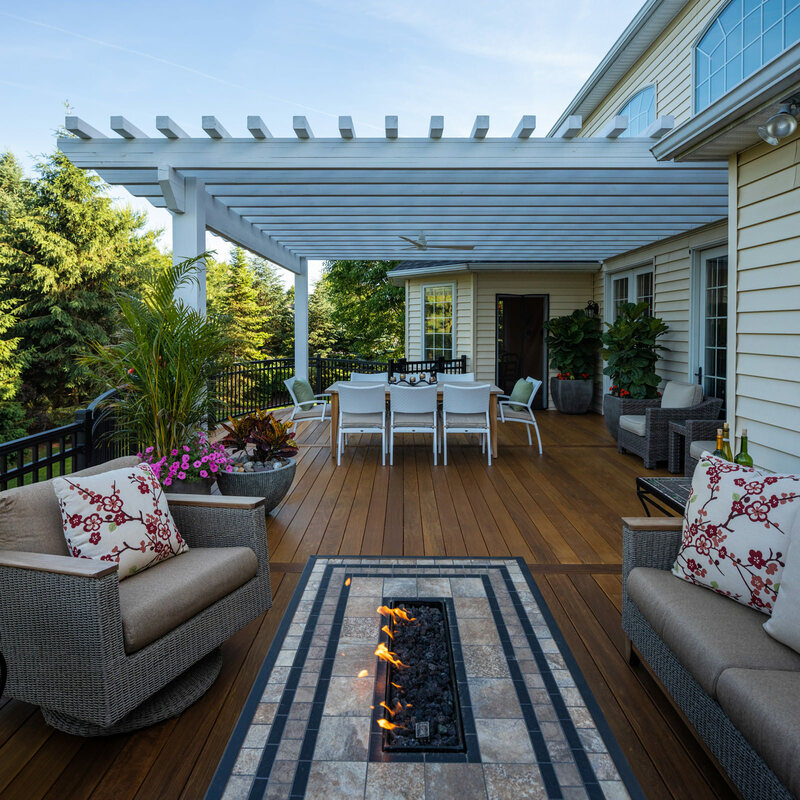 Last, but certainly not least, fire features beg to be a part of your outdoor entertaining master plan. Outdoor fire pits are wonderful live elements that create light, warmth and encourage your guests to stay a little longer and laugh a little louder. Creating a plan with your landscape designer to include seating walls around your fire feature is the perfect idea to instinctively have your guests gather around to create memories. Beware, once you furnish your outdoor living space with these wonderful lighting ideas, you run the risk of becoming the magnetic backyard, the place where all of your family and friends want to be! 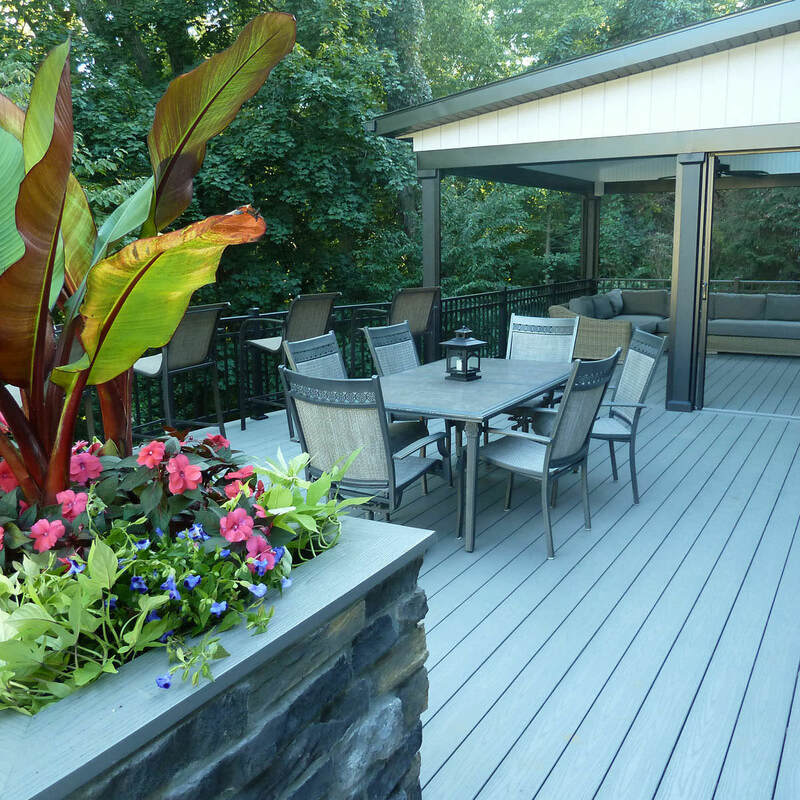 Creating the perfect outdoor living space can seem daunting, but by contacting a professional, you can alleviate the headaches and uncertainty. 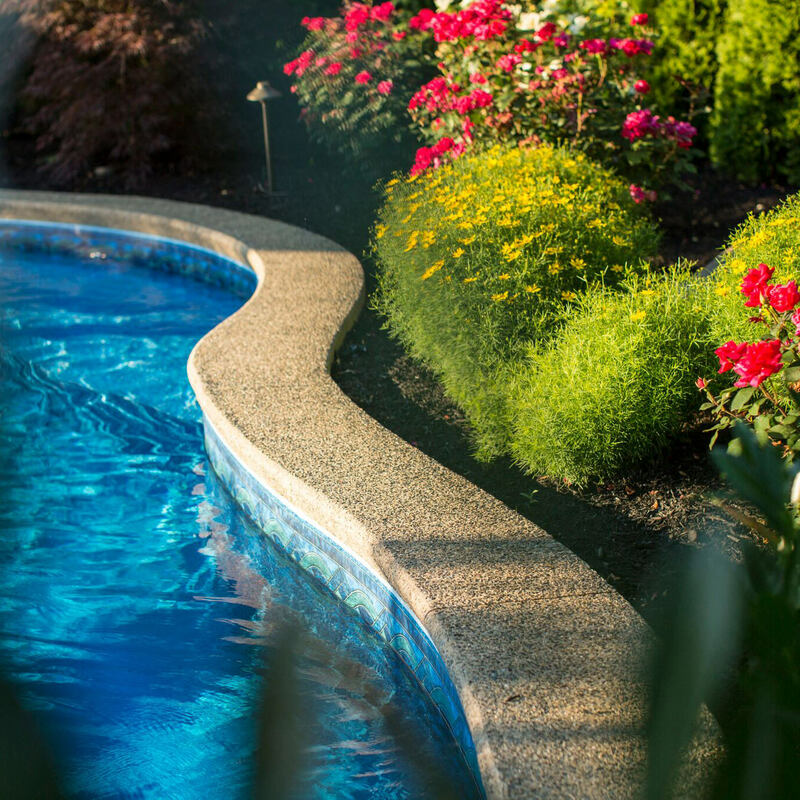 MasterPLAN Landscape Design is here to listen to your dreams for your outdoor living space and turn them into a reality. Specializing in 3D models of your master plan, there is no room for guesswork; beautiful results guaranteed! 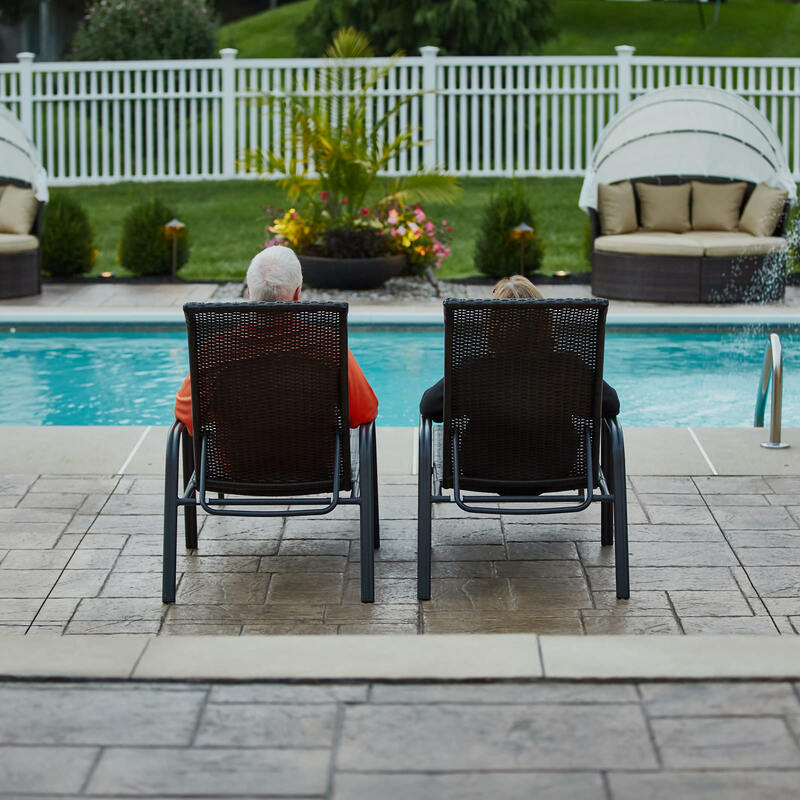 Serving the Poconos, the Lehigh Valley and throughout the Philadelphia areas, MasterPLAN is ready to get started on your custom outdoor dreamscape!